Bratislava has a number of strange statues. There is this guy peeking out a manhole. Another is a French soldier resembling Napoleon on a park bench. 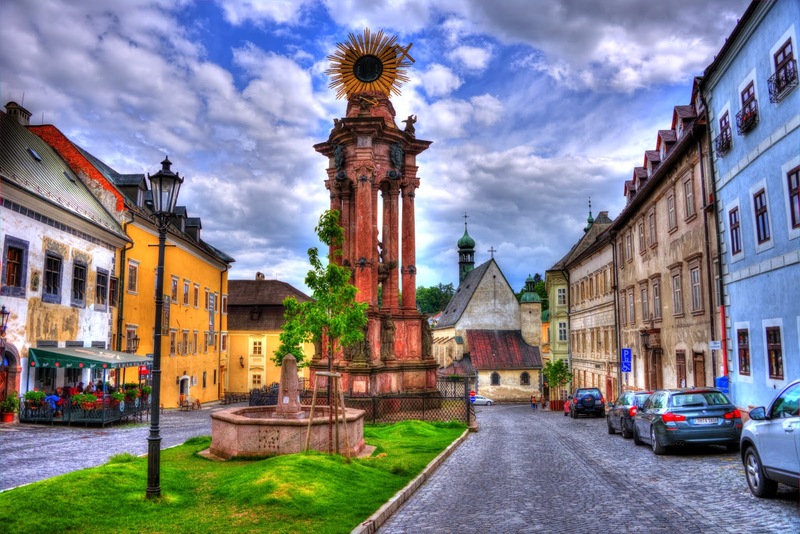 There is also a guy tipping his hat commemorating an old Bratislava resident. One of the most famous statues - The Paparazzi - was missing when we visited. After looking for about an hour, we found some evidence of where he once stood, but we never figured out where he went. The road was too wet, the winds too strong, and the rains too hard. As we ascended Mt. Lovcen in a beat down Skoda with our great driver "John" aka Cizmovik aka Clutchmaster Supreme, we decided to head back down, failing to reach our summit where the old prince bishop of Montenegro was put to rest - Petar II Petrovic-Njegos aka the Shakespeare of Montenegro. We gave up halfway up the mountain. As we went around the mountain, our driver stewed, feeling more guilty with each km. He wanted us to see the top sight in Montenegro, so he made another run at the mountain from the other side. He assured us that we would not miss our flight later that day and tossed the taxi meter out the window. Some places you can just look at on a map, and by some combination of location and name, you know they will probably be really cool. Such is the case with Kotor. Cradled by the black mountain fjords of Montenegro and sitting at the end of a long and dramatic Mediterranean bay, it is a place of fiction come alive. It is also a place of rain. 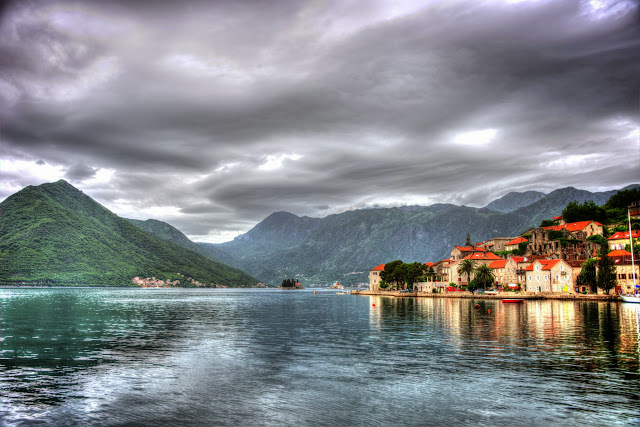 Of our 4 days in Kotor, it rained for 4 days. During our visit, Kotor had the highest rainfall in Europe. Yay. Still, we loved our time with this strange old city. Heading south along the coast of Montenegro, we came upon the strange city of Budva. 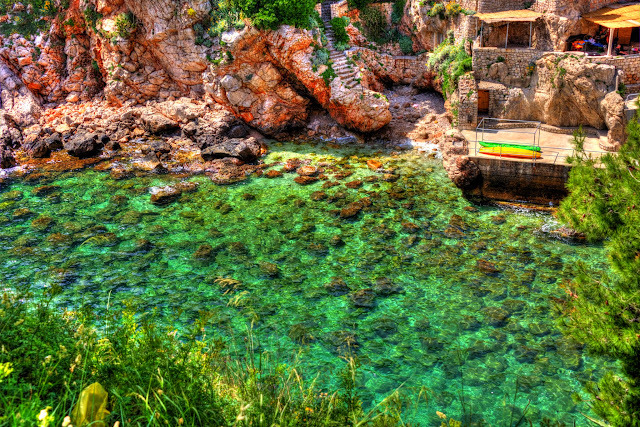 For some reason, wealthy Russians have built Budva into a home away from home, and it is a strange and in parts beautiful place. We saw totally chrome Audis, Lambo Aventadors, and all manner of other luxury brands - most driven by Russian looking men. The harbor is filled with yachts. There is no shortage of upscale restaurants. But, the place is sort of this weird dicothomy of run down 80's Yugoslavia and nouveau riche Russia shipped in morsels into Budva. So while some buildings decay, others are built up unchecked. It is a weird place, especially around the beach outskirts. 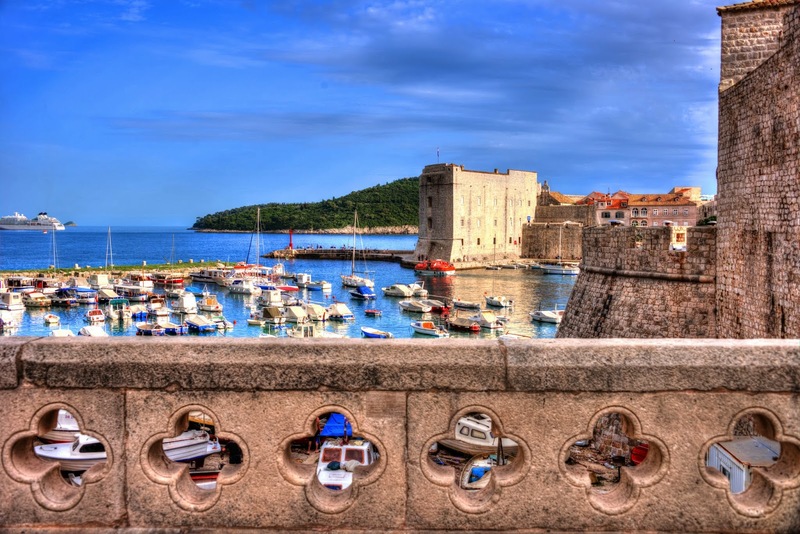 No trip to Dubrovnik is complete without circling Old Dubrovnik atop the majestic city walls that surround her. 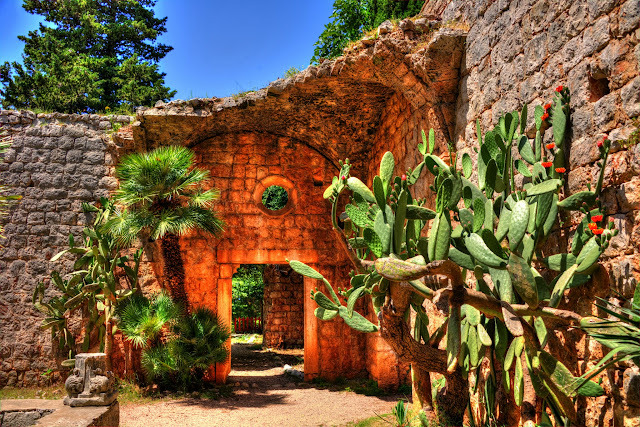 These walls are considered the greatest medieval fortifications in history and kept the city safe for hundreds of years. The current walls date from between the 12th and 17th centuries, though the first walls were built around the 8th century. The walls run for about 2km, encircling the old town atop these gorgeous cliffs above the Adriatic. There are only 4 entrances into Old Dubrovnik through the walls, so the city is still very fortified even today. 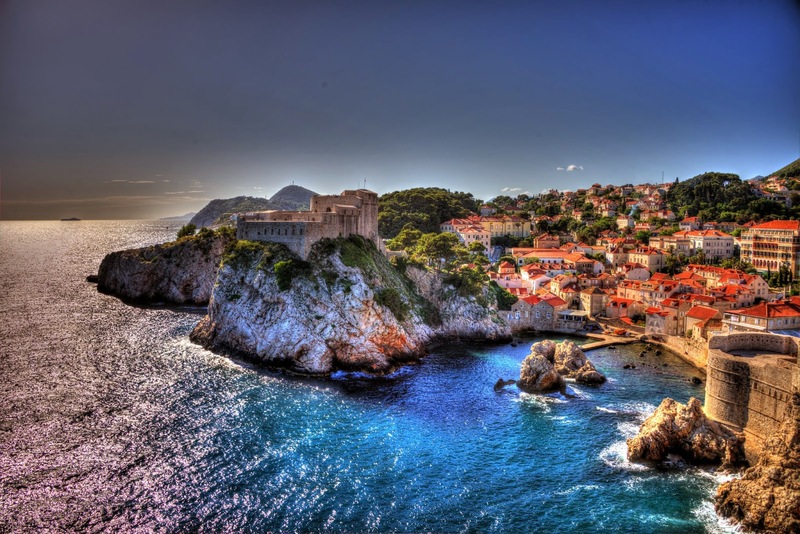 Still, over 500 of the 800 or so buildings in Old Dubrovnik were damaged in the siege of Dubrovnik in 1991-1992. During the war, the walls proved effective at protecting against even modern weaponry. 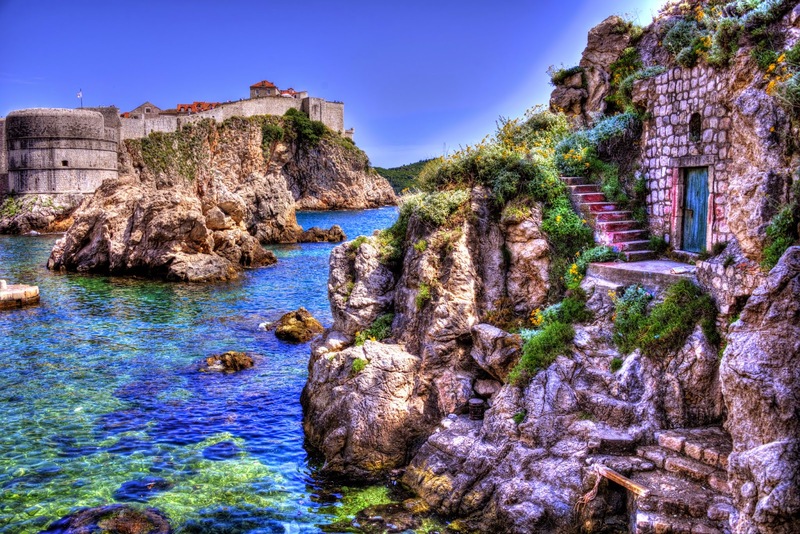 It is said that the Serb forces wanted to detach Dubrovnik from Croatia and make it part of Montenegro. Over the years, the city has been attacked in over 7 wars. The city has been tacked by Russians, Arabs, and Venetians, though never fell. On Palmoticeva Street in Old Dubrovnik, D'Vino wine bar exists, simply being great. We dropped in after some friends in Mostar recommended it. They specialize in Croatian wine and education. Their manager or owner or whatever (pictured above standing) lectures the occupants of this small enoteca on the finer points of Croatian wine and his views on wine in general. He is funny, charismatic, smart, and tough to figure out. I attempted to understand how an Aussie ends up running Dubrovnik's best wine bar, and so I asked him how he got there. He said "Lots of flights - Melbourne, Singapore, Frankfurt, Zagreb, and finally Dubrovnik." Mostar does not hide its character. It is an Ottoman jewel with its history written in bullet holes, old cobbled streets, and the creases on the faces of old Mostarians. It is the rare place that is easier to picture 400 years ago than 20 years ago, when the Croat-Bosniak war tore the town to shreds, taking with it every bridge and several buildings as well as lives, but all the while, making the character of Mostar that much stronger. Even the perfect Stari Most bridge that connects the city above the emerald Neretva river was destroyed, but it took an estimated 60 shells of tank fire to take down the 400 year old masterpiece. In the early nineties, CNN called Mostar a permanent shooting gallery with 50 casualties per day. Every graveyard was full, so bodies were buried in parks. It was a war so complicated that after researching it for a couple days, I am even more confused than when I began. There is an old video at the end of this post if you want to see what Mostar was like 20 years ago. 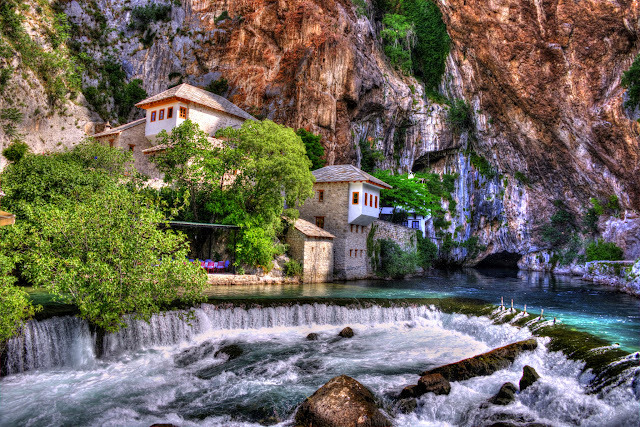 Surrounded by a waterfall and built into a cliff, this Tekija, or Dervish Monastery is incredibly gorgeous tucked in a little corner of Bosnia and Herzegovina called Blagaj. One of Bosnia and Herzgovina's most picturesque mosques sits quietly perched on a bank of the Neretva river. It is not extraordinary, but just looks perfect next to the flowing green river. Open since 1617, the mosque has been around since Ottoman times and flanks one of the oldest markets in Mostar, where travelers can buy local fruits, pomegranates, and honey. Stari Most is considered to be one of the most gorgeous bridges in the world. 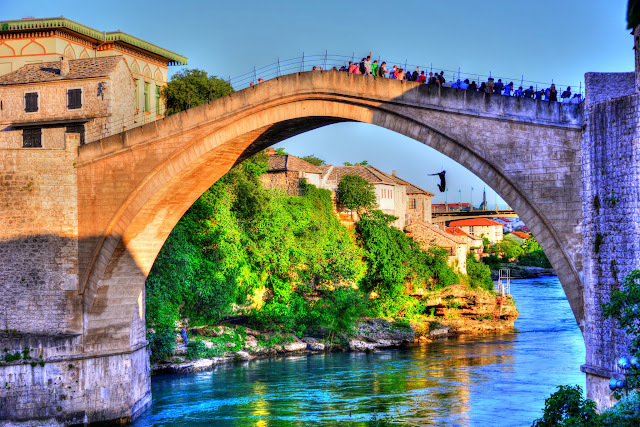 First built in the 16th century in the Ottoman style, the bridge stood for over 400 years until being needlessly destroyed in the Croat-Bosniak War in 1993. The bridge was rebuilt using the old methods eleven years later in 2003. The bridge connects both banks of Mostar and is flanked by two towers known as Mostari. Also, young men hurl themselves off of the river for thrills and have since as early as 1616. It is an over 75 foot drop. We landed in Dubrovnik after missing our initial approach to the airport and being told that we could not land because of technical issues. Not the words you want to hear above the Adriatic heading for the coast of Italy from Croatia. It was very quiet and tense on Norwegian Air flight crappants. 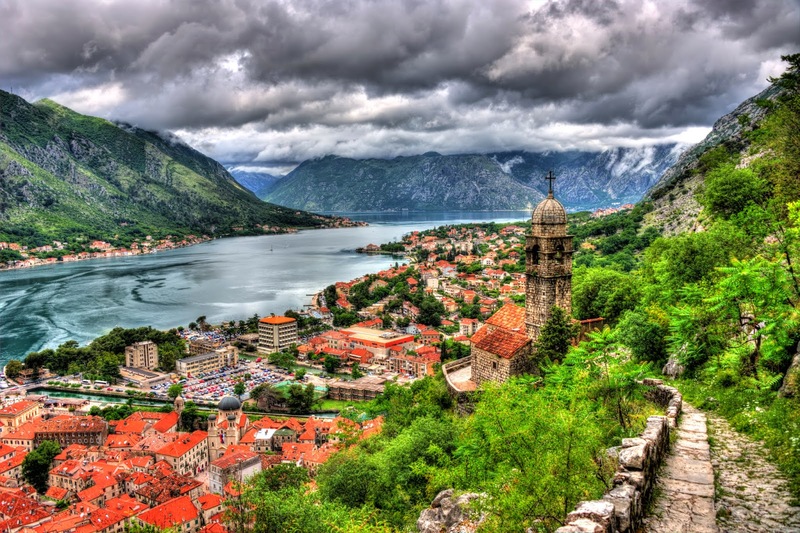 We landed safely, and here is our trip from Dubrovnik to Mostar by car, which was very beautiful and simple, except for the part where the GPS took us up into the mountains to some "locals only" border crossing. the guard held us for a little while and told us in broken English to go back to the shore. 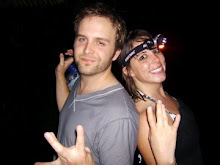 The road trip was in my top 10 for sure, right up there with Toulouse to Andorra and Pokhara to Chitwan. If you are considering renting a car and doing this journey -- Just do it. It is an easy drive and dangerously breathtaking at points.